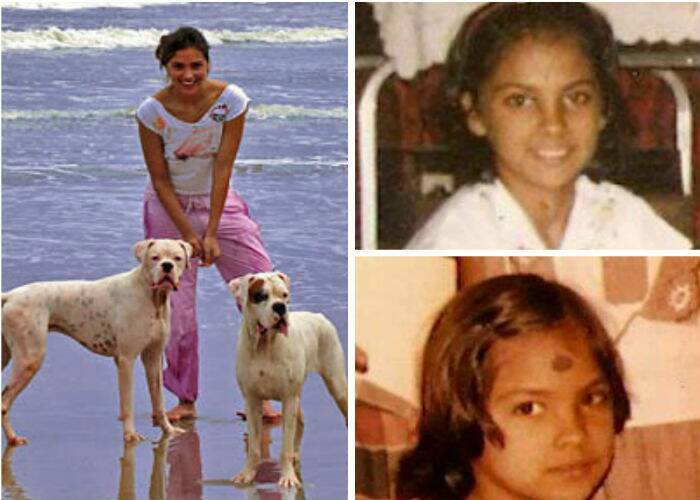 On her Birthday, we take a look at some of Lara Dutta's achievements till date. Crowned as one of the most beautiful woman in the universe, actress Lara Dutta is known to be different from your typical Bollywood actress. Not only is she blessed with looks and brains, Lara is one of the classiest ladies in showbiz. Her impeccable style and distinguished personality puts her in the list of well-respected actresses in Bollywood. As she turns 36 today (April 16), we take a look at some of her achievements till date. Lara Dutta is the daughter of L.K. Dutta, a retired Wing Commander and Jennifer Dutta. She has two elder sisters – Sabrina and Cheryl. Lara is also the cousin of DJ Nitin Sawhney. Lara moved to Bangalore along with her family in 1981 and completed her schooling from St. Francis Xavier Girl’s High School and the Frank Anthony Public School. She then pursued an Economics degree and a minor in communications from Mumbai University. When it comes to her love life, Lara Dutta has had her share of relationships before settling down. She was in a nine-year relationship with model and actor Kelly Dorji. However, after her career took off, the duo split. Though the real reason is not too clear, some claim that Lara's attraction for Kelly’s friend Dino Morea is said to have been the reason. Dino and Lara eventually broke up due to the 'Raaz' actor's affections for designer Nandita Mahtani. Lara Dutta was also said to have briefly dated American baseball player Derek Jeter. Lara later met tennis ace Mahesh Bhupathi when she signed up as a client with his celebrity and sports management company that Mahesh ran with his ex-wife Shvetha Jaishankar. The duo eventually got married on February 16, 2011. They have a two-year-old daughter Saira, who was born on January 20, 2012. Talking about her professional life, after Lara Dutta won the Gladrags Megamodel competition, she went on to compete at the 1997 Miss Intercontinental Pageant in which she took first place. In 2000, Lara once again made news when she won the Femina Miss India Universe and was later crowned Miss Universe at the 2000 beauty pageant held in Cyprus. The beauty queen made her acting debut in Tamil film 'Arasatchi' in 2002. However, the film was delayed due to financial issues and released only in 2004. The following year, she made her Bollywood debut in Raj Kanwar's 'Andaz' along with Akshay Kumar and Priyanka Chopra. The romantic musical opened to mixed reviews but was a Box office success. Lara’s performance earned her a Filmfare Best Female Debut Award. Following her debut success, Lara Dutta had a string of flops. In 2004, she appeared in 'Bardhaasht', which also starred Bobby Deol and Rahul Dev. But, the film failed to do well. Her next film was Madhur Bhandarkar's 'Aan: Men at Work' along with Akshay Kumar, Jackie Shroff, Suniel Shetty, Shatrughan Sinha, Raveena Tandon and Irrfan Khan. This film was also a failure. Her next three films, ‘Insan’, ‘Elaan’ and ‘Jurm’ also disappointed at the Box Office. But, luck smiled on Lara Dutta when her film 'Masti' was a bit hit. Also starring Ajay Devgn, Aftab Shivdasani, Vivek Oberoi, Riteish Deshmukh, Amrita Rao, Tara Sharma and Genelia D’Souza, the Indra Kumar directed comedy flick, performed well at the Box Office, grossing around Rs 26.75 crore in India. Lara Dutta then worked in horror film, ‘Kaal’ along with Ajay Devgn, Vivek Oberoi, John Abraham and Esha Deol. The film received mixed reviews and was a moderate success. After this, Lara Dutta was seen in ‘Dosti: Friends Forever’. The film didn’t perform too well in India but was said to be a major success overseas. In 2006, Lara once again teamed with Akshay Kumar for ‘Bhagam Bhag’, which turned out to be one of the biggest hits of the year. The actress began 2007 with Shaad Ali’s ‘Jhoom Barabar Jhoom’, which performed poorly in India but was a success abroad. Lara also received good reviews for her performance. She then appeared in David Dhawan’s ‘Partner’, which was a remake of Hollywood flick ‘Hitch’. The film was a huge commercial success and became the third biggest grosser of the year. She also made a special appearance in hit film, ‘Om Shanti Om. 2008 had Lara lend her voice for animated flick, ‘Jumbo’. Though the film opened to mixed reviews, it was termed a disaster. That same year, Lara also made a special appearance in Shah Rukh Khan starrer, ‘Rab Ne Bana Di Jodi’. In 2009, Lara starred in Anthony D’Souza’s underwater action thriller ‘Blue’. The actress initially declined the film, as she didn’t know how to swim. But, her co-star Akshay Kumar encouraged her to learn and train for the thriller. ‘Blue’ received mixed to negative reviews, and though it had a good opening, it was a box office disaster. Post ‘Blue’ Lara Dutta appeared in David Dhavan’s comedy, ‘Do Knot Disturb’, that also starred Govinda, Sushmita Sen and Riteish Deshmukh. But though the film received positive reviews, it had a very poor opening and was termed a flop. However, her 2010 release, ‘Housefull’ was a big commercial win. Directed by Sajid Khan, the film was a multi-starrer with Akshay Kumar, Arjun Rampal, Riteish Deshmukh, Deepika Padukone, and Jiah Khan. In 2011, Lara decided to take a new path and turned producer. Her first film ‘Challo Dilli’, in which she played the lead fared well. She then sizzled in an item number for ‘Don 2’, in which she also had an extended special appearance. The dance number was a major hit and the film was a huge success. After the birth of her daughter, Lara Dutta returned to the big screen with Bejoy Nambiar’s David’. The film opened to mixed responses and was an average performer at the Box Office. The actress is said to have recently singed up for ‘No Entry’ sequel, titled ‘No Entry Mein Entry’. She is also reportedly planning a sequel to ‘Chalo Dilli’, titled ‘Chalo China’.